I am very excited about this year’s holiday. I want to go out and walk in the decorated streets. I want to see the lights and the happy people. You’d tell me this holiday has transformed into a commercial opportunity to rob people and take their money away in order to keep the system going. I wouldn’t disagree. That doesn’t mean I, or we, should be grumpy grinches and steal Christmas from whoever is giving in to the spirit of Christmas and living it to the max. This year I have decided to enjoy things. Or at least try. I want to be happy. And nothing should stop me. You should be happy as well. Past experiences don’t define us. They wreck us. They put us down. They destroy us and leave us in tears. But they shouldn’t make us stop. We need to go on. Learning from past experiences is crucial. And I’d like to quote an Arabic saying that is transliterated to “Every one learns from his own bag”. Goals will keep us going. Failures should teach us something before we make a decision to go further. Not all memories and experiences are devastating. Some we like to remember and relive over and over, like my adventure to Sri Lanka and Rim Banna’s concert that I knew about on the same day, or older memories like the smell of diesel mixed with the smell of greens and soil, a scent at my aunt’s house that we used to visit on our vacation from UAE reminding me of Lebanon, and the smell of gunpowder from all the fireworks and firecrackers that we didn’t play with in UAE. In an attempt to come up with a vegan lazy cake recipe, my kitchen experiment gave me an unexpected result. I was able to come up with a mixture that gave my taste buds and brain a flashback of a taste the last time I’ve had was in early 2000s. FYI, early 2000s is more than 10 years ago (I always have to keep reminding myself of that). Mom and I found a recipe of chocolate coconut balls. We became known for those for a while. A recipe I have no idea where I got from, we made this over and over, countless times, with zero leftovers. 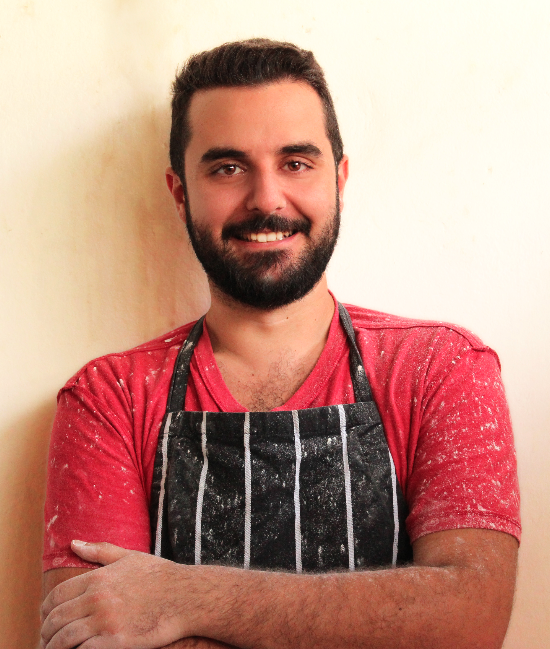 One time we sold a huge batch at a kermesse, that we had to prepare the night before and roll all the balls by hand. 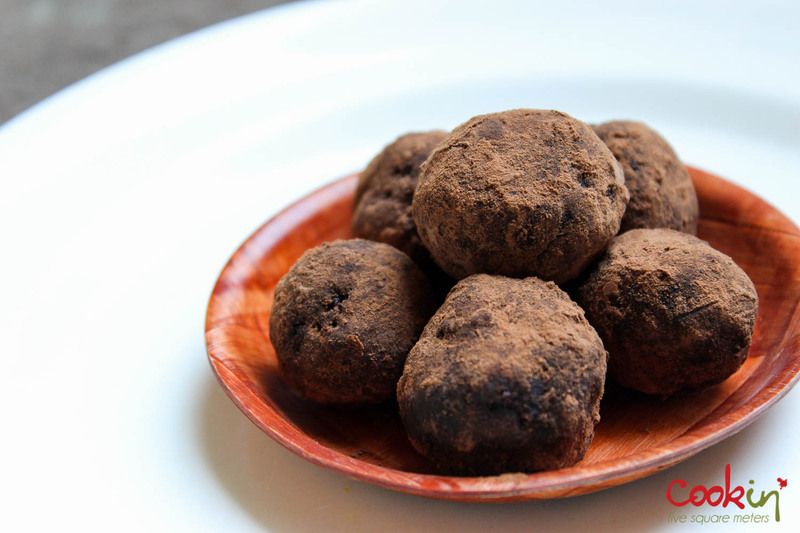 The recipe I came up with keeps reminding me of the chocolate coconut balls we used to make. 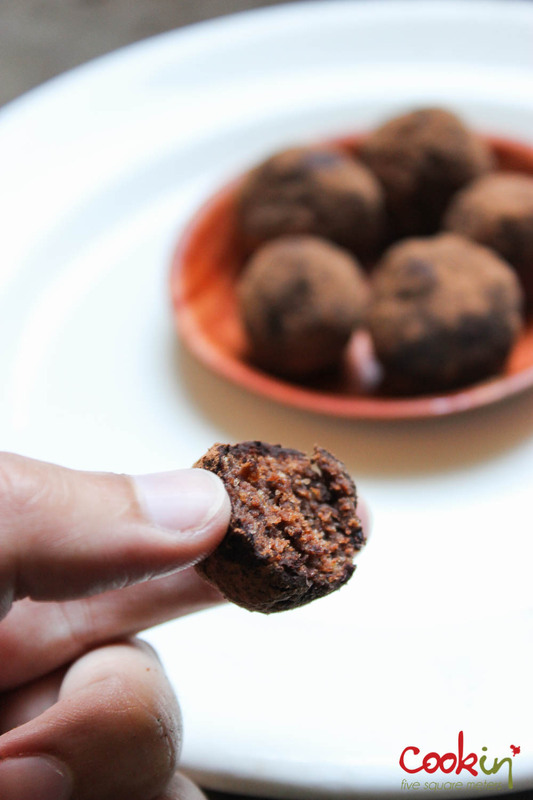 Dense sweet chocolate-y balls rolled in shaved coconuts to balance things, this recipe needed one things to make it better. Make it vegan and lower in bad fat. My 2014 recipe includes no butter, eggs, or milk (or any of their substitutes) and the sugar can be reduced to none according to taste. This entry was posted in Chocolate, Christmas Recipes Dec. 2014, Dessert, holidays, Recipe and tagged biscuit, cacao, Chocolate, Christmas, cocoa, cookie, easy, finger food, lebanon, low fat, memory, no butter, recipe, simple, Sri Lanka, truffle, truffles, vegan. Bookmark the permalink. 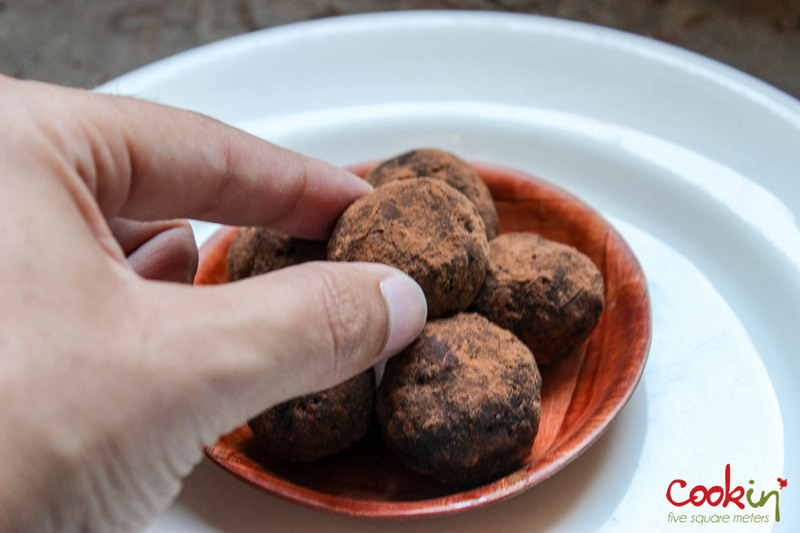 I am not much of a sweet tooth, but I do love truffles, Christmas or not Christmas! I’ve been making my own nut milks these past few months, and I use the “okara” – the fibrous stuff left left after you squeeze all the “milk” out of the mixture – as a basis for vegan truffles; I haven’t yet found the perfect ratio though, and they often turn out a bit too dry to my taste, whereas your biscuit version looks much moister. Happy holidays! That’s a new word to learn. Okara. 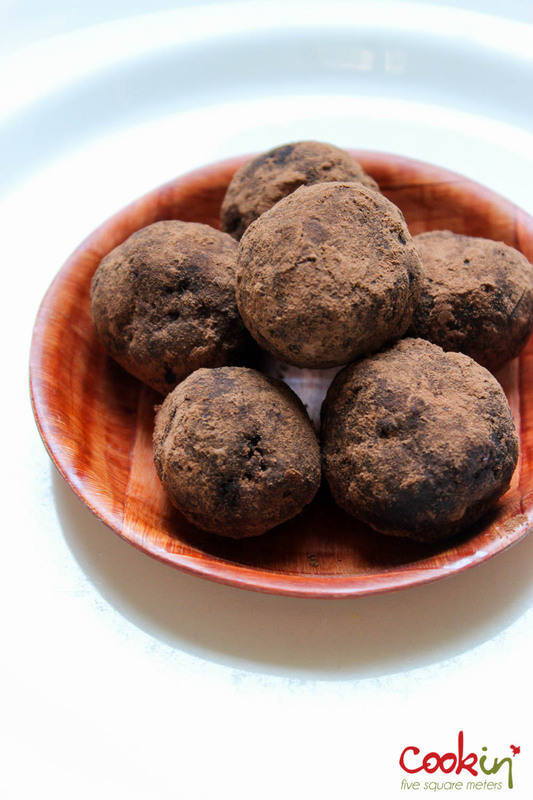 Truffles are amazing, with their dense dark flavors. In your version, maybe adding nut milk to the mix would help keep them moist? I’d love to see that posted on your blog. Well, believe it or not, the recipe is just dates, okara, cocoa powder, and optionnal garnishes. I think adding a little water (or nut milk) or maple syrup might do the trick. And you don’t feel the dates at all, it’s all about the flavor of chocolate! I’ll post when I am satisfied with the result. Okara is what is left from making soy milk from soy beans, but vegans have extended the word to any pulp that remains from making any vegan milk 🙂 Thanks for the tips about orange blossom and rose water, I might try that for a floral kind of truffle!